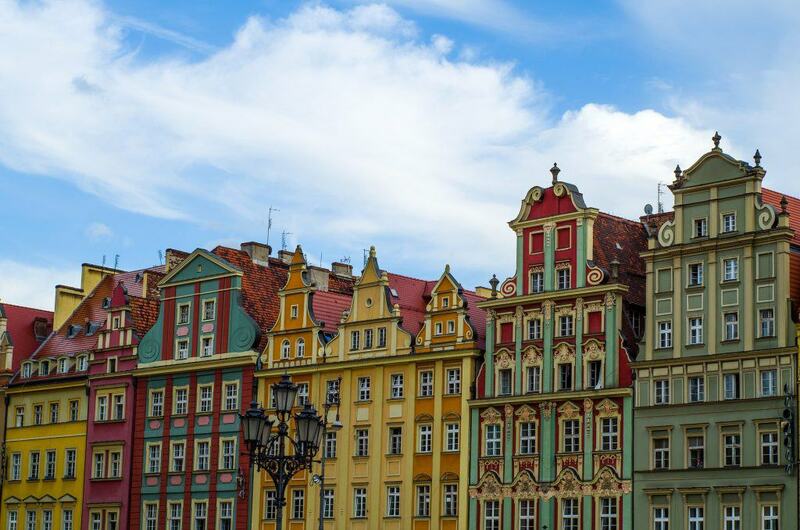 9 Things To Do in Poland﻿: Travel to Poland the Right Way. 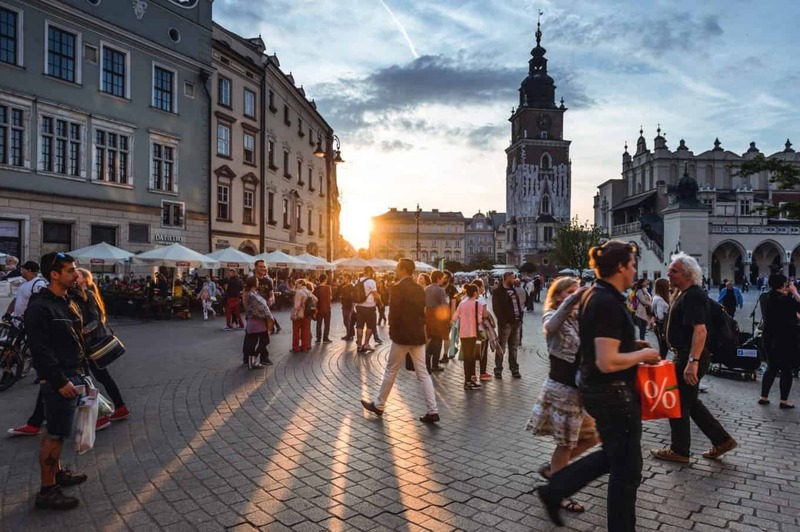 With its picturesque city centers populated with bright buildings and vast array of natural spaces, visit Poland to find a little something for everyone, from the outdoorsman to historian, to the artist or beach dweller. Read on for more travel tips about what you should do or where you should go when you next travel to Poland. An increasingly popular and incredibly safe travel destination due to the rapid economic growth and western European influence since joining the EU (faster trains, gender equality, better schools), Poland is a country with a surprisingly rich Jewish history and saddled with a not so distant communist politico-past. Forget the Eastern European label, with a progressive youth moving Poland forward, this is a part of Europe that you need to know more about. A economical choice for the budget conscious (since Poland still uses the Zloty as their currency) and a great escape for the outdoorsman (with Mazury lakes and Tatra mountains calling adventurers to explore) traveling in Poland has become increasingly easier. The country has updated their rail system and provides fast trains to traverse the main hubs from southern, historical Krakow to the metropolis of Warsaw to the beachy, northern “Trójmiasto” or Tri-Cities (Gdansk, Sopot and Gdynia) as well as a broad network of buses and trains throughout the countryside. 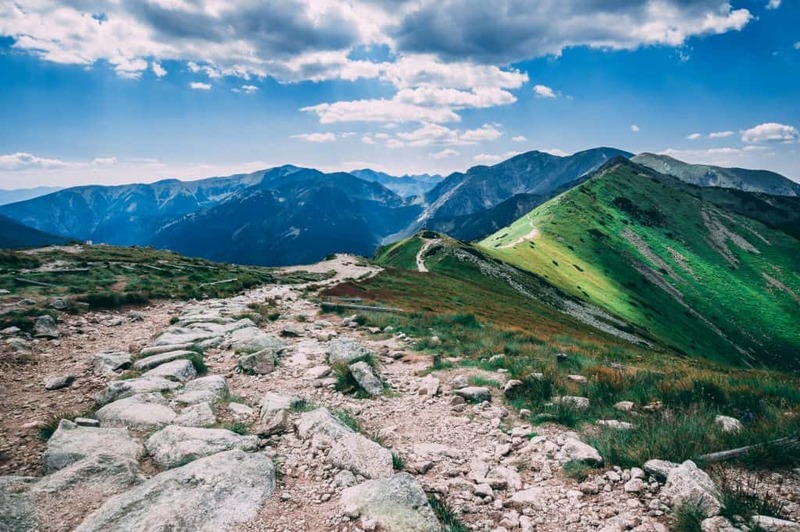 For outdoor enthusiasts, the Tatra Mountains provide a scenic getaway. Numerous hiking trails spiderweb across the range offering options for hiking at every level (find as many small lakes peppered throughout this mountain range as you can, starting with the eye of the sea: Morskie Oko). Snowy slopes are popular for winter sports. Since these mountains are quite popular with tourists and Poles alike, they can get crowded. One bonus of visiting is that at the end of a long day you can indulge guilt free with a feast of heavy Polish food, such as pierogi. Make sure to try the regional favorite: smoked Oscypek cheese. Not sure if this pronunciation lesson will go very far, but visiting Krakow (pronounced Kra-koov by Poles) will find you in a treasure of a city. It has become a very popular Poland travel destination and is best known for its proximity to the Wieliczka salt mines and to Auschwitz. This city is also home to the Wawel Castle (where you will find a fire breathing dragon), Oskar Schindler’s Factory and a grand, picturesque market square. This square is famous for its long hall of Polish markets down the center and the beautiful St. Mary’s Basilica. It’s worth noting that you should also take time to explore the historical Jewish district, Kazimierz. One of the most frequently visited spots in Poland is the infamous WWII concentration camp, Auschwitz Birkenau. This has become one of the most sobering things to do in Poland as this camp has a heavy history. I also recommend learning more about Poland’s Jewish history at Warsaw’s Polin Museum, a beautifully designed museum embracing the lives and history of Polish Jews. Or, you can learn about the Polish underground uprising movement by visiting the Warsaw Rising Museum. If you want to learn about more traditional elements of Polish culture, you can visit the city of Torun to learn the cultural importance of gingerbread. Here you will find The Living Museum of Gingerbread and have the opportunity to make your own gingerbread. Highly popular with the local Poles, these balmy summer retreats are a surprising getaway option. Known particularly for Hel, Sopot and Gdynia, Poland has numerous other resorts nestled along the coastline cities. These resorts are far enough that when you escape from them to the sandy beaches you are left to to the sound of the waves instead of bustling service industry fanfare. It’s important to note that while the Baltic waters aren’t usually the warmest to wade in, July to September have been mentioned as the optimal months for swimming. Not only known for the nearby beaches, this quaint trio provides a nice tour of three very distinctive cities. Starting in Gdansk, you will be introduced to the charm of these seaside miasta (cities). Gdansk’s cobbled streets and rich architecture lead you towards the old town with beautiful Gothic-Renaissance elements such as that found in the towering Main Town Hall where you will find Neptune’s Fountain on showcase. Next, catch the convenient commuter train system to the spa city of Sopot (make sure you stamp your SKM train ticket.) Within fifteen minutes you will be on the sandy shores of the Sopot beach. 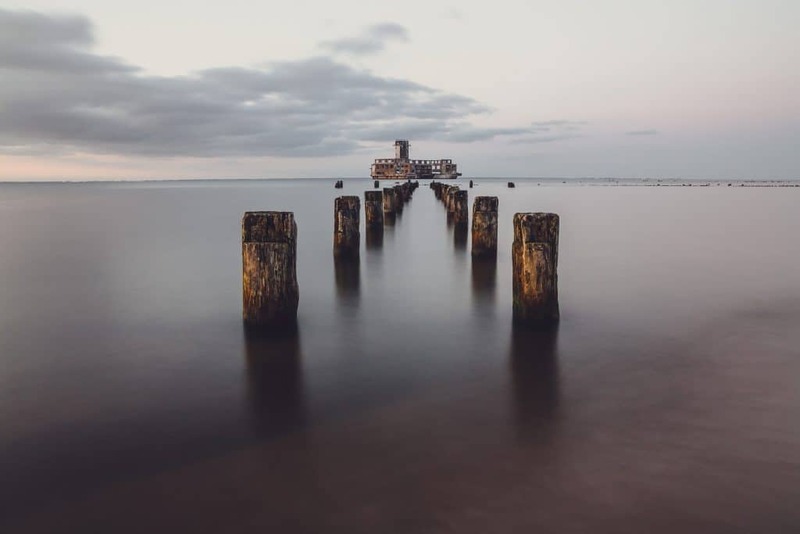 Sopot is a city that grew up around mineral springs, so if spa’s aren’t your thing, just breathe in deep and stroll through. Keep an eye open for their famous crooked house and head out onto the iconic long white pier into the salty Baltic breeze. The final stop on this tour is Gdynia which is known best for it main promenade past Kościuszko Square out to the pier where you can find a number of docked museum ships and the aquarium. 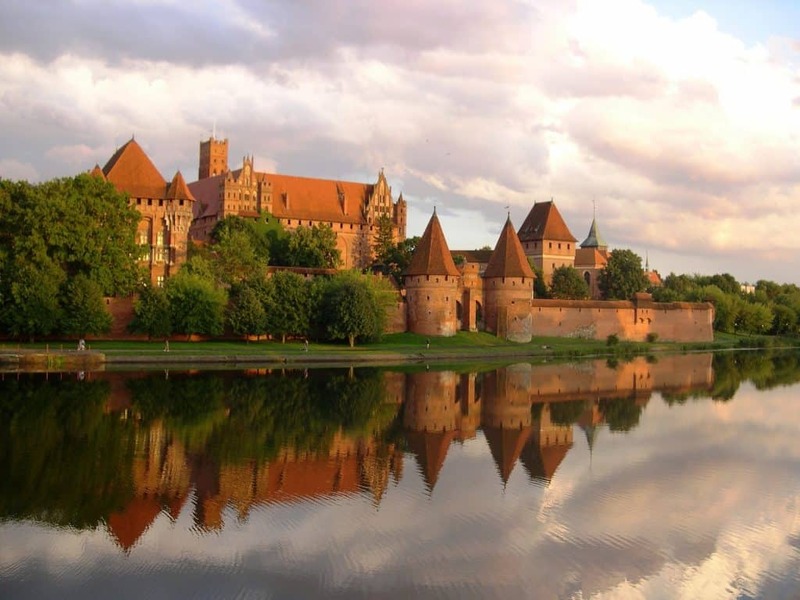 Just one of many castles in Poland, the Medieval Gothic, red brick Malbork castle is the largest by land area in the entire world. About an hour from Gdansk, this 13th century castle of the Teutonic Order will take you back in time. Well preserved and renovated, this fortress has three separate castle constructs and once was home to over 3,000 knights. Now a Unesco World Heritage site, it’s a must see for history buffs or those interested in the grandiose. A city that has historically been at a crossroads, Wroclaw’s track record includes belonging to a number of kingdoms including Poland, Bohemia and Hungary. Not so long ago it was a part of Germany and only rejoined Poland following border changes after WWII. The darling city of Wroclaw is home to over 300 little gnomes. As part of an anti-communist movement in the 80s, gnomes became an emblem for this city and it’s young people. Enjoy the vast space allocated for the town square bordered by colorful buildings and take time to cross the charming bridges that lead to the oldest part of town towards a cluster of island churches and gardens. Mazury lakes are a natural feature of the Polish landscape- a place to escape and relax, to withdraw inward and embrace nature. Popular for sailing from lake to lake via the canals system, for quiet fishing or for taking a short swim, these lakes are a pride of the Polish people. While a full guide to Mazury is necessary to determine how exactly to plan your trip, it’s helpful to know that you can opt for an agriturismo or a spa depending on what experience you prefer. Warsaw is a central stop in Poland. The first thing you will see is the Palace of Culture, a remnant of the soviet influence and mostly an eyesore for the Poles who reject what it was erected for (they have clever names for it such as: “Russian Wedding Cake” or “Stalin’s Syringe”). In the capitol city of Poland, you can learn more about Chopin or nobel prize winning Marie Curie. You can wander through Lazienki Park to visit the Chopin monument and explore what was once a royal summer getaway. 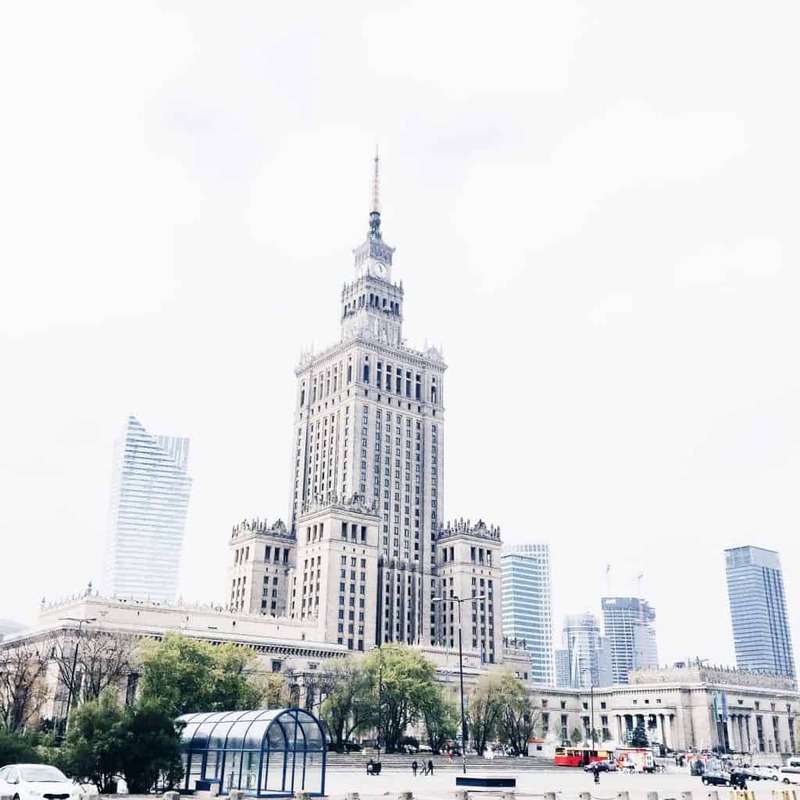 You will forget you are in Eastern Europe with all of Warsaw’s rapid growth and expansion. Don’t forget to stop by a Milk Bar for a quintessential Polish dinner when you visit Poland. They don’t just serve milk These cafeteria style eateries are run by Polish cooks who are serious about serving working class an affordable, home-style meal. Poland uses its own currency, called ‘Zloty’. Close up picture of Polish Zloty coins, shallow depth of field. Surprisingly, according to Wikipedia, only 32% of Poles want to adopt the Euro, with 60% against changing their currency. For those wondering about conversion, 100 Groszy = 1 Zloty. 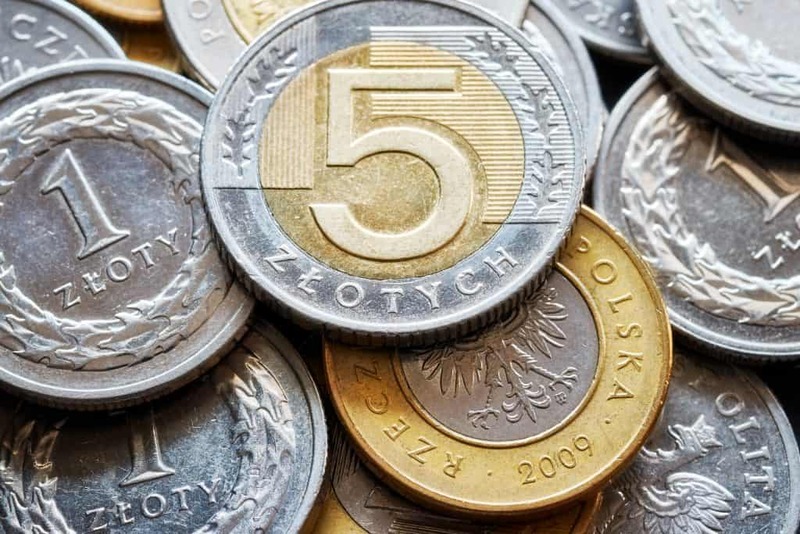 As of March 2019, 1 Euro = 4.2 Polish Zloty. 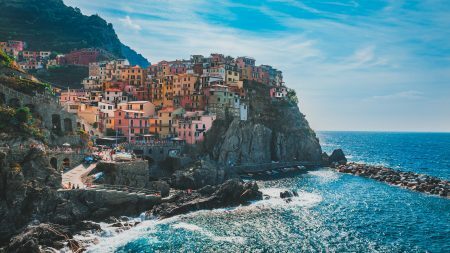 As with most central European countries, Summer is going to be the most pleasant time to travel, with temperatures averaging 25 degrees Celsius (77 degrees Fahrenheit) from June to August. 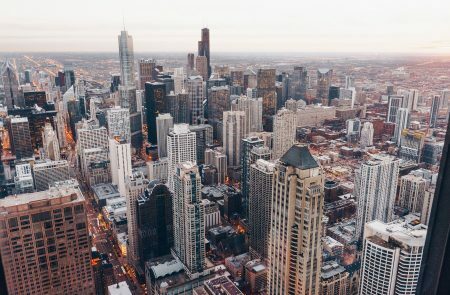 Spring is also a great time to go, with the trees starting to grow back their leaves and a general freshness in the air coming out of a cold winter. Although Poland isn’t as crowded in the Summer as other European countries like Italy, it’s still a good idea to consider the shoulder seasons, rather than the peak of Summer. Getting to Poland is just like any other large European country. 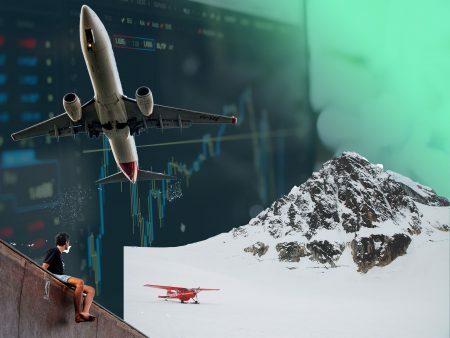 Your best bet is to fly into Warsaw’s Chopin Airport (WAW) and from there you can take trains to virtually any part of the country. Ryanair and Wizz Air are the two most popular airlines that also happen to be discounters. And not only that, but Poland is building the largest airport in Europe. Wow. Poland’s growing 3.5% a year, and is vibrant, young country. Get there while it’s still authentic, as it might become Europe’s next hot destination.